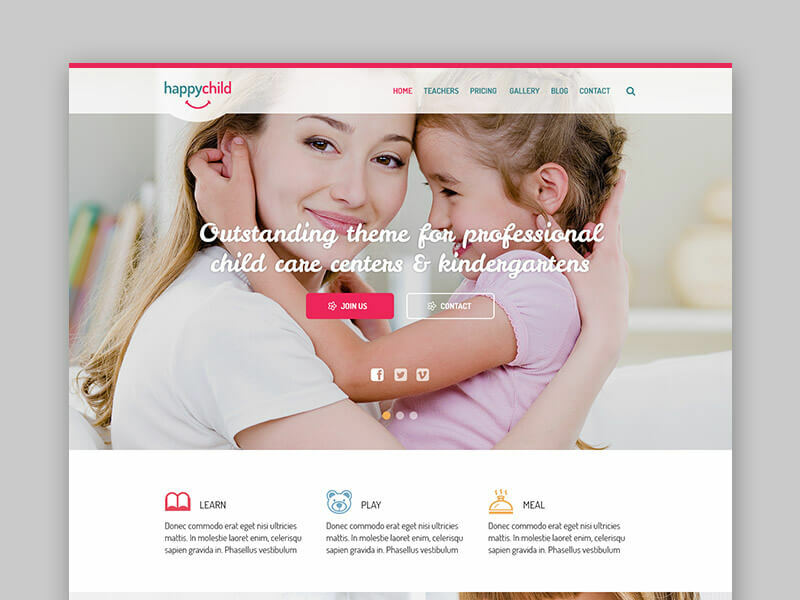 HappyChild is a FREE WordPress theme for pre-school education. HappyChild was built on Visual Composer page-builder. It has all features you need for your kindergarten: events, timetable, services, teachers, blog and much more.